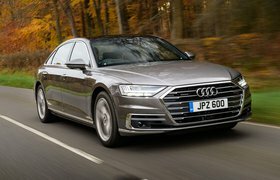 New Audi A8 vs Mercedes S-Class | What Car? ​Finding the ideal driving position in the two cars is a cinch. Both get electric front seats as standard, including four-way electrically adjustable lumbar support, so comfort is almost guaranteed. 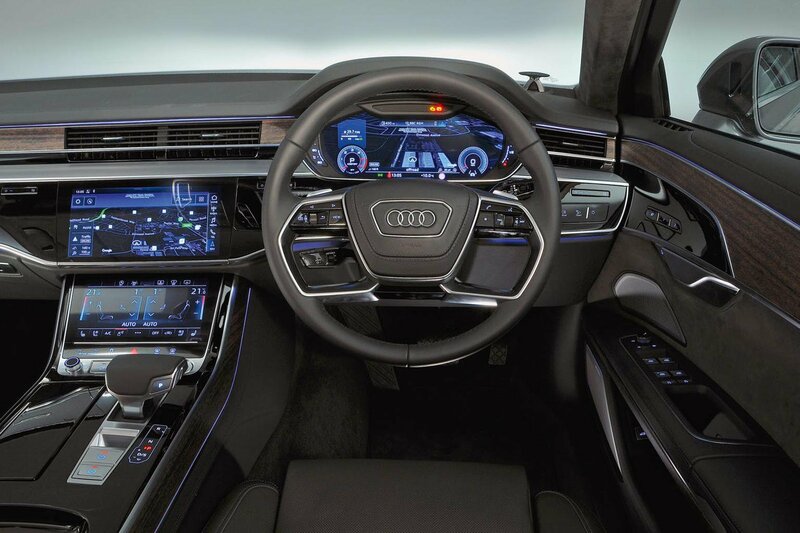 Unfortunately, Audi’s decision to put the climate controls on a touchscreen isn’t so impressive, because finding and selecting your desired temperature on the move is rather distracting. The S-Class has physical buttons for the aircon that are far more user-friendly. These cars’ vast length and width can make them feel a bit cumbersome to drive in town, but at least they have decent-sized side windows and thin front pillars for judging roundabouts and T-junctions. It’s a good thing that both come with front and rear parking sensors as standard, as well as a crisp and clear reversing camera to help better judge tight parking spaces. It’s perhaps not surprising that the interior quality on show from the two manufacturers is some of the finest you’ll find anywhere. There’s swathes of leather covering both cars’ dashboards and doors, slick, well-damped switches and metal trim highlights. However, the A8 just has the edge, with its plastics and piano black trims feeling a tad more solidly bolted together.